We recently played host to some friends and fellow zero wasters who were visiting from Iqaluit. I have to say, living in the extreme north, they definitely have a harder time of it finding low-packaging food, but, armed with a pantry of bulk food, they’re doing an amazing job! After enthusiastically taking full advantage of all Vancouver has to offer in terms of restaurants, we got together for a home-cooked meal. It turned into a collaboration in local food; we picked greens from the garden, boiled spot prawns, and, most excitingly, we made butter from scratch. I’ve made butter a couple times before, but I realized I hadn’t posted on it. It’s dead easy, and definitely worth a try. It’s especially fun in a group or with kids because you can all take turns shaking. All you need is a jar and some whipping cream. 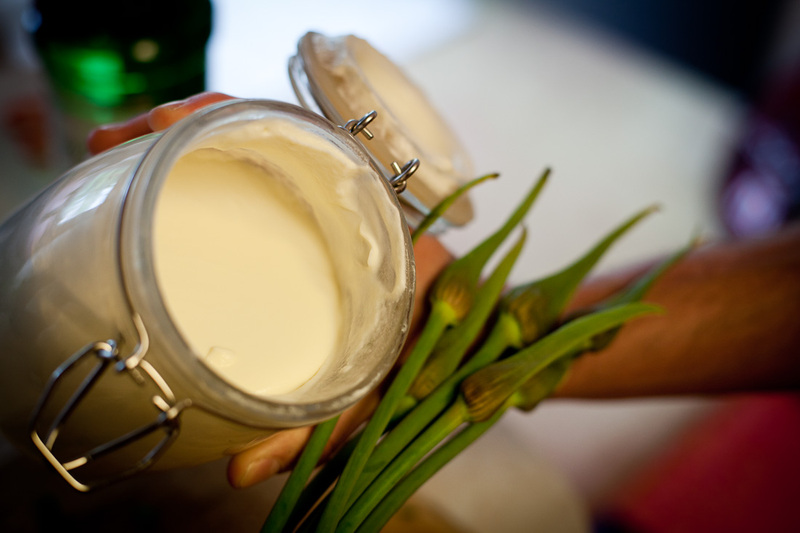 Put the cream in the jar. Shake shake shake until the cream turns to whipped cream. . .
which in turn becomes a solid lump of butter in a watery liquid (buttermilk). You can salt it if you wish. Drain the buttermilk to use for baking or making pancakes the next morning. 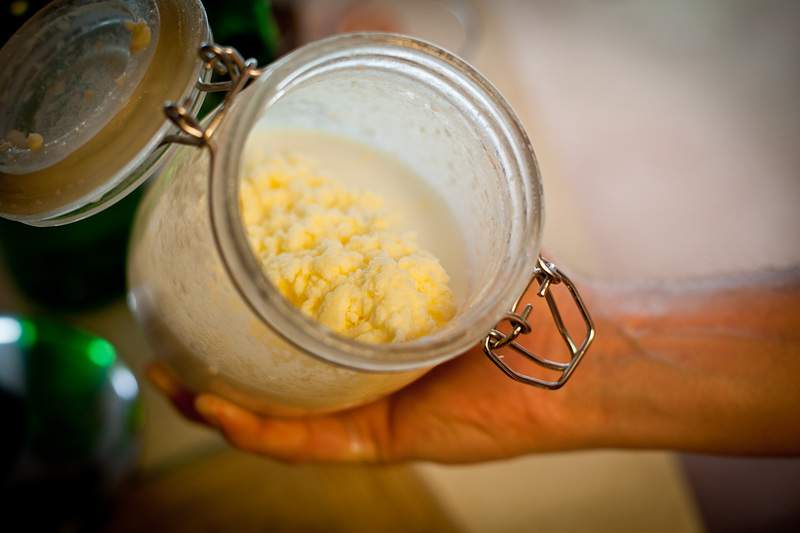 Quick note – if you are storing your butter for awhile, you have to wash the remaining buttermilk out of it or it will go rancid. Ours never stays around long enough, so we skip this stage, but I gather that you either put it in a strainer or just knead the lump of butter in your hands while running it under cold water. PS – If you’re still wondering how you can live zero waste in the Frozen North, check out subzerowaste (the name of which cracks me up) . love this post! 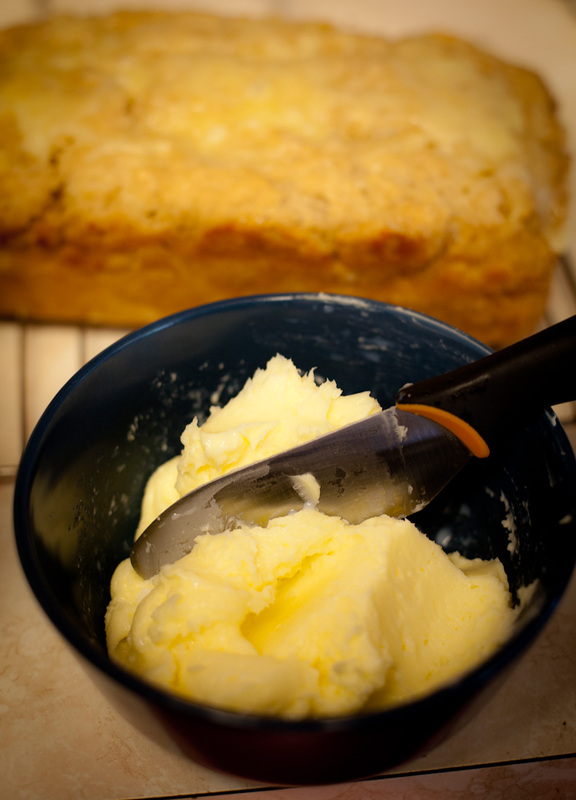 when I was a neophyte cook, I made butter once accidentally by trying to make whipping cream in the blender. maybe I should try it again on purpose this time! i suppose you could clarify the butter and then it would keep even longer? ?